Postcards aren’t simply a traditional direct mail option; they’re an affordable marketing solution that allows businesses and organizations to convey essential information on a medium that is not likely to be overlooked. Postcards remain an effective direct marketing tool that can support your marketing campaign. If you are planning a direct mail campaign using postcards, be sure to keep the following tips in mind. Boring images and an abundance of text aren’t likely to be very eye-catching when it comes to your postcard design. Instead, employ a glossy photo or bold images that will garner attention. Using both sides of the postcard should be a no-brainer. Even if you are only sending a very basic message (Summer Sale), be sure to include relevant information like store hours or product lists in order to use up the space effectively. Postcards don’t afford a lot of room, so be sure to employ a direct message that expresses what you want customers to do (i.e. use coupon offer or attend big sale). A postcard is a great way to mail a special offer, but it’s also a good tool for building brand recognition. Be sure to include your business logo to accompany any special offers. Although standard-size postcards will be the more affordable option for your direct mail campaign, an oversize postcard is going to secure more attention. If your postcard looks like any other flyer with block print and numbers, it’s not going to stand out especially well. Create a personable message that stands out from the other direct mail for your postcard. Even if you use small print, don’t forget to include essential contact information like a phone number, address, and website. If you can turn your postcard into a keepsake or transform it into something useful enough to pin to the fridge, you’re onto something. Many people will hang onto postcards with captivating artwork or photography (think about photographing a local site) or that conveys useful information such as a list of community resources with contact information. Use these tips to drive your postcard marketing campaign. The internet certainly isn’t the only way to reach people; postcards continue to be effective tools in the hands of savvy marketers today. There are roughly 42 million teens in the US who spend, on average, about $4,000 each year. Is your business benefitting from a teen customer base? Although well over half of America’s teens are online, only 6% are emailing each other on a daily basis. Reaching them via email, therefore, is not necessarily the best avenue for marketers to take. Instead, your business might want to rethink its direct mail campaign to more effectively reach teens. Not every business needs to worry about the teen audience. If your business sells plumbing supply parts or sheet metal, there’s little reason to worry about the teenage demographic. If, however, part of your customer base includes teens, you can improve sales to this age bracket by targeting them with a direct mail campaign. Marketing to teens is important because teenagers are likely to become brand loyal early on. Marketing experts also suggest that teens wield considerable buying power. While twenty years ago teens were still focused on buying clothes and music, they are, today, purchasing more expensive merchandise like mobile tablets and smart phones. 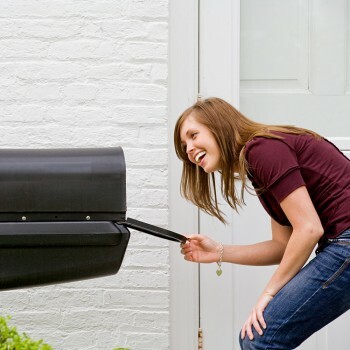 Marketers have found that, simply put, teens like getting mail. Direct mail provides teens with what they love: to be treated as adults. While most of the direct mail that teens receive is from colleges and universities attempting to market to them, savvy businesses are also targeting this group with campaigns designed to tap into teens’ largely disposable income. When it comes to the teen audience, the novelty of direct mail has not worn off. Businesses simply need to provide relevant content to teens about merchandise or upcoming sales. Studies have shown that teens respond to informative content. A direct mail campaign should attempt to provide information about products that are relevant to teens. Providing a teen with an incentive like a buy-one, get-one free offer is the type of giveaway that teens find hard to resist. Short, bold headlines with a clear call to action should reach teens. Imagery is also important to teens, so be sure to choose images that are likely to appeal to this demographic. The fact is, direct mail has been shown to be the most effective means to reach teens, according to a study by the Center for Media Design of Ball State University. The reason colleges continue to connect with teens via direct mail is because it works. If it works for them, it might just work for your business too. Marketing is a fast-paced field that is characterized by change. Each year ushers in new ideas and trends that could become the driving force behind your next marketing campaign. Before planning your next direct mail initiative, be sure to keep some of the following trends in mind. They could enhance your campaign by improving response rates and helping you exceed your business goals. In past years, direct mail campaigns have focused on “hard sale” techniques. However, research suggests that people respond more favorably to informational content. The sales element is still part of the approach, of course, but the shift to more informational material appears to be resonating with customers. When crafting your content, be sure that your sales pitches are supported by plenty of relevant information, which is what ultimately might sway customers to buy. Many marketers already realize that a one-size-fits-all direct mail campaign isn’t likely to be as effective as a campaign designed for each niche of your target audience. It’s not surprising, after all, that marketers often appeal to businesses and residential customers using different materials, so why not employ that practice for different age demographics? You can use other factors to determine what materials you mail to the specific niches within your customer base. Investing in data that allows you to personalize your direct mail campaign is a major trend going forward this year. Personalized marketing is already proving its worth online, but businesses that are applying similar personalization in their direct mail campaigns are witnessing increased response rates. If you already go through the trouble of targeting your audience, take that extra step by personalizing the material you send them. By including their name and even past purchases if you have that information, you can speak to them more directly to elicit a better response rate yourself. What busy homeowner wants to read an essay about why they should buy your product? Too much text or too complicated a design and your marketing material is destined for the trash before it’s thoroughly examined. More than ever, marketers need to create basic messages with simple designs to appeal to customers who are sorting their mail. Keep sales pitches and informational content basic and streamlined to entice people to read. Keep these trends in mind when designing your next direct mail campaign. Direct mail continues to be an important marketing platform. You can make the most of your investment in this platform by employing some of the best marketing practices relied upon today. Print to Mail vs. Digital Marketing? In this new digital era with an ever changing social-media landscape, the role of traditional print advertising continues to evolve. Direct mail has long been the undisputed king of targeted direct marketing. Print advertising is still one of dominant methods of communicating your companies message and offerings. 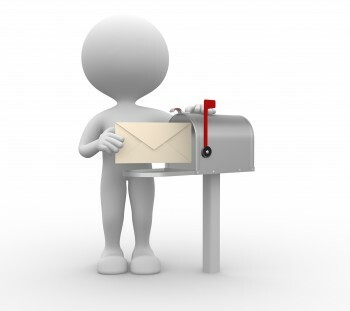 Some have conjectured that the rise of the internet is diminishing the impact of direct mail. But it’s not so. In fact, there is now a huge market for using direct mail to drive potential customers and clients to their online resources, which is leading even more prospects to make a decision to interact with your organization. Professional direct mail services provided by a full-service mail marketing can help you target and dominate untouched markets in your local community. In fact, in terms of efficiency, use of direct mail to deliver your companies personal message or special offer can prove to provide a very high rate of return on the advertising investment. A fire and water damage client in Iowa landed one two-thousand dollar job within the first week of their direct mailer going out. They then landed a fifteen-thousand dollar annual contract from the very same mail piece. The owner told his employees over lunch that they should be thanking the direct mail company for all of the new business. Data provided by the Direct Marketing Association supports the claim that direct mail is undeniably the reigning leader of all advertising. No other method of marketing can obtain new clients for a small business the way that direct mail does. Internet advertising cannot even compare. Direct mail has the ability to reach your specific target, and can also contact any person or people group via their mailbox. The personal touch that comes from direct mail is undoubtedly what mail marketing more compelling than a billboard, local newspaper, television, radio, or website. The ROI from direct mail is beats them all. 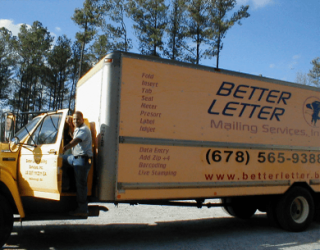 Talk to Better Letter Direct Mail Company! They are YOUR Direct Mail experts.